John the Baptist is one of the eight people mentioned in Luke 3:1-2. In this passage John is actually referred to as "John son of Zechariah" after his father Zechariah who experienced a vision in the Temple that foretold of his son's birth. 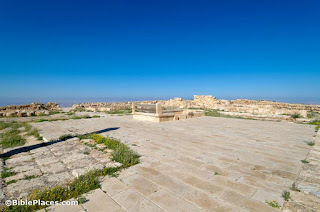 The full story of Zechariah's experience in the Temple is found in Luke 1:5-25, with the conclusion of John's birth narrative depicted in Luke 1:57-66. John had an extensive ministry introducing Christ and his messianic kingdom to the nation of Israel (e.g., John 1:19-42), though he was eventually martyred for his faith as recounted in Mark 6:14-29. 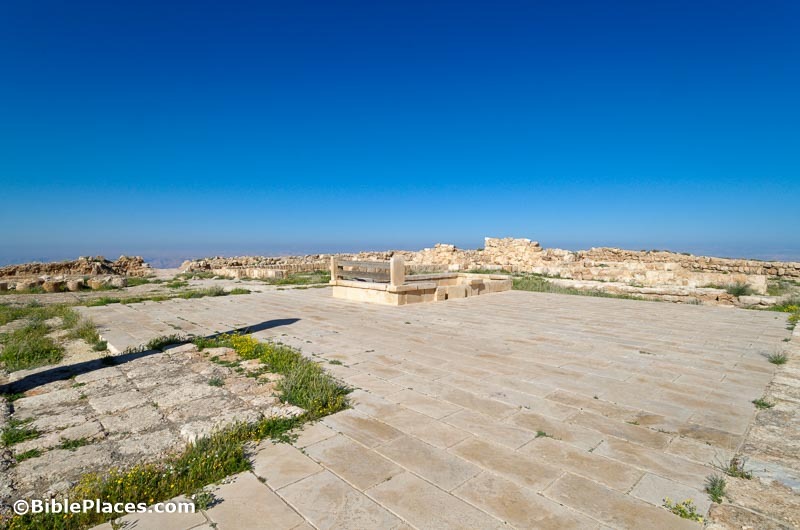 Further information on his martyrdom can be found at this prior post in this series: Luke & Acts: Historical Reliability - 4. "Now some of the Jews thought that the destruction of Herod's army came from God, and that very justly, as a punishment of what he did against John, that was called the Baptist: for Herod slew him, who was a good man, and commanded the Jews to exercise virtue, both as to righteousness towards one another, and piety towards God, and so to come to baptism; . . . " (Antiquities 18.5.2. 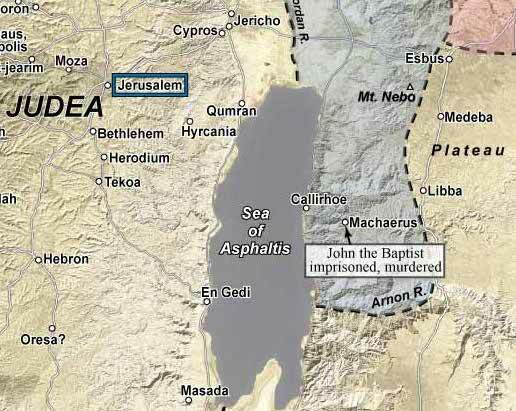 Josephus further indicates that John was imprisoned and eventually murdered at the hilltop fortress of Macherus. 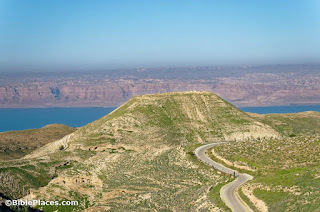 Below you can see the location of Herod's fortress. This map comes from the Satellite Bible Atlas, a resource that we highly recommend. 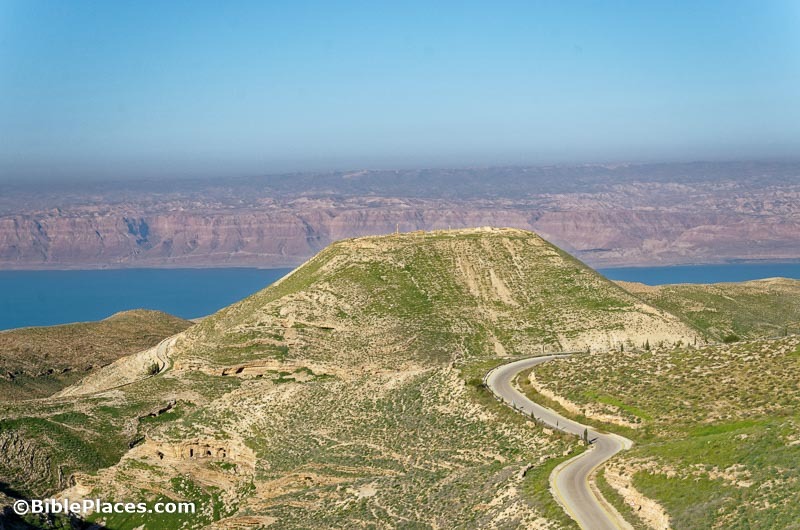 The next photo depicts Macherus looking from the east with the Dead Sea in the background. With steep sides surrounded by deep ravines, it presented a difficult target to attack. Still, the Jews who defended it during the first revolt against Rome (c. AD 70) eventually surrendered rather than face the full Roman military onslaught. The photo below gives a close-up of the current remains of the fortress itself on the summit of the hill. By way of final note, National Geographic has an article exploring the claim by some that actual bones from John the Baptist have been preserved in a church in Sophia, Bulgaria. Obviously this claim is pretty far-fetched, but the article is an interesting read in any case.